The saying “time is money” is true in many respects. However, if you’re a beauty aficionado, you know this mantra is especially relevant. After all, it’s easy to spend a lot of both time and money on the steps of your skincare regimen. (Which, if it’s anything like ours, can be lengthy.) To help cut your “spend” down, we’re sharing some of our favorite multi-purpose products for all aspects of your beauty routine. From a Chanel hand cream that will allow you to skip perfume to a wave-making hair product you can apply in the shower (bless! ), read on for more editor-approved picks. 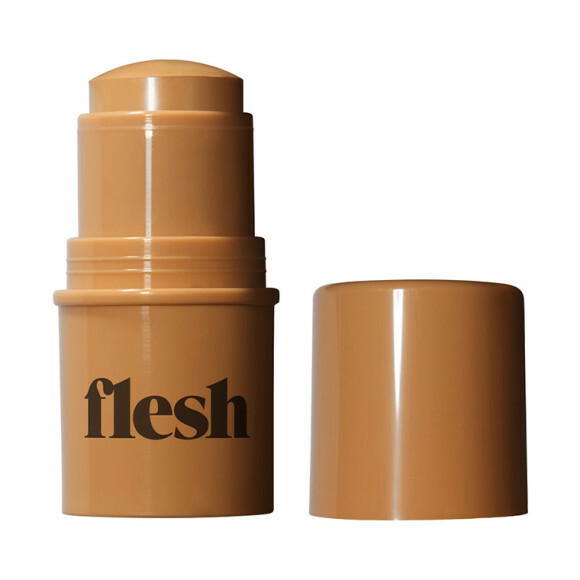 Flesh Beauty has broken down barriers with each one of its innovative, inclusive product launches, but the Firm Flesh Thickstick Foundation ($18) might be our favorite for multiple uses. It’s available in a range of 40 shades, from which you have choices: find your true color for foundation, a shade or two lighter for concealing, and a hue or two darker for contouring. One portable stick, practically infinite uses. We’re seeing in-shower formulas pop up in skincare aisles more frequently, and now haircare is getting the same timesaving treatment. 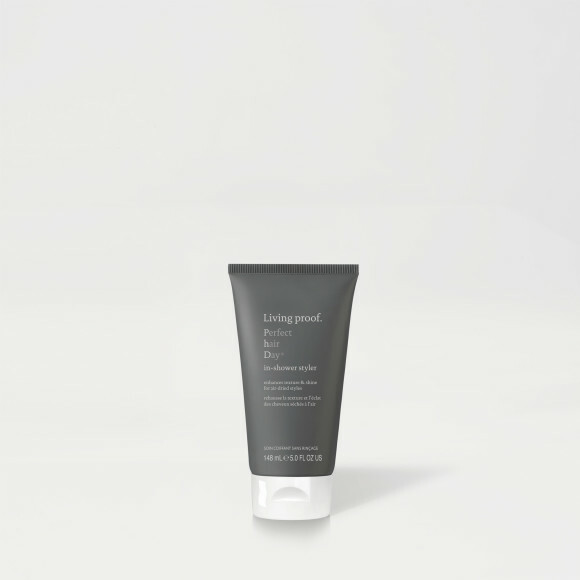 The innovative Living Proof Perfect Hair Day In-Shower Styler ($25) is applied to wet hair, lightly rinsed, and then air dries beautifully to enhance natural texture, add body and boost shine. (Our Senior Beauty Editor likes using it to add life to her stick-straight strands.) If your daily hair care currently includes mousse, gel, shine spray and texturizing cream, get ready to streamline your routine down to this single styler. This Olay Shea Butter Foaming Whip Body Wash ($5) is a weightless yet luxurious formula that dispenses into a creamy lather. It works equally as well as a shaving cream as it does an all-over body wash, so you need one less bottle in the shower. The innovative whipped formula envelops skin in rich foam for long-lasting hydration. You might not even need to moisturize afterwards! Infused with a heady dose of the timeless rose, jasmine and mandarin-based fragrance we all know and love, this Chanel no5 L’eau On Hand Cream ($55) moisturizes your mains while imparting a lingering scent. In fact, it lasts so long you might find yourself skipping a separate spritz altogether. Editor’s tip: Keep this petite perfumed lotion in your purse or gym bag (like our Editorial Director does) for a little indulgence anytime, anywhere. The cult-favorite Marc Jacobs Dew Drops Coconut Gel Highlighter ($59) captures the healthful look of ultra-hydrated skin in a bottle. This gel-cream formula can be used as a traditional highlighter, shimmering eyeshadow base, sheer wash of color on the eyes or lips, and mixed into foundation or primer for a healthy all-over glow. It is infused with five forms of coconut — alkanes, milk, water, polysaccharides and scent — to moisturize and nourish the skin. 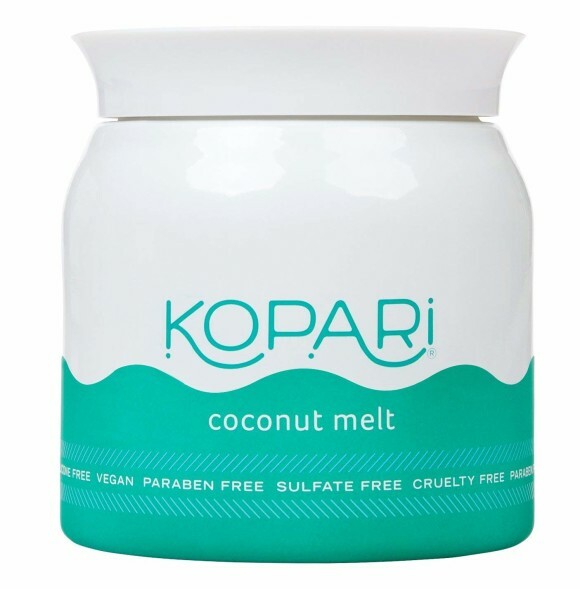 If beauty products were forms of entertainment, Kopari Coconut Melt ($28) would be a one-man show. This 100 percent organic, unrefined coconut oil easily removes makeup (even waterproof! ), works as a deep-conditioning hair mask, boosts your bubble bath, makes for the silkiest shave, and more. Essentially, it’s about to become your new go-to. And, with a generous 5.1oz per tub, you don’t have to hesitate when you find yourself reaching for it for, well, everything! You’re sure to have a dry shampoo (or two) in your arsenal, but have you discovered the wonders of its sister product, dry conditioner? 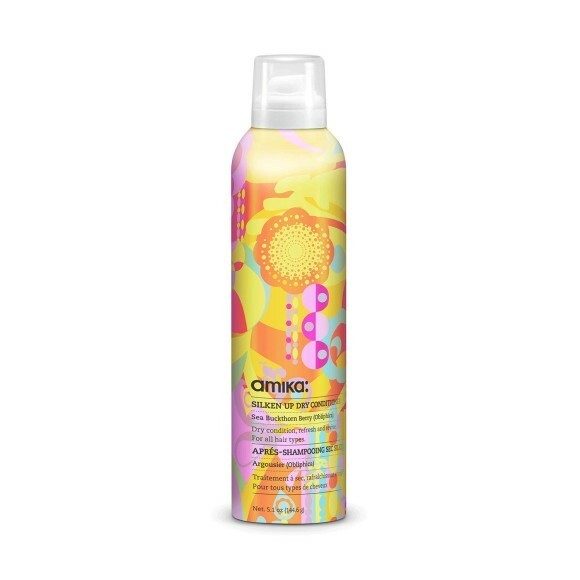 If not, you definitely want to start with Amika Silken Up Dry Conditioner ($25). Practically weightless and packed with nutrients like omega-7, and vitamins A, C and E, this silky spray will easily detangle day-old hair. It’ll also help preserve your blowout longer, while restoring softness and shine. Even better? Its signature scent smells so great, you might even find yourself skipping perfume!